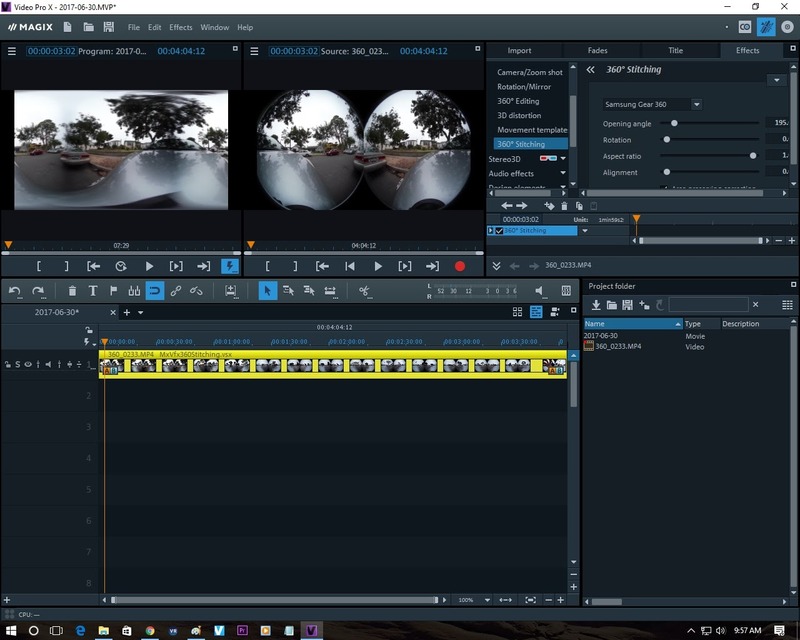 Magix Video Pro X is a video editor that can automatically stitch 360 videos on the fly (!). I’ve long been a fan of the Magix Movie Edit video editors, including Magix Movie Edit Pro Plus 2017, which I like for its 360 editing features including 360 titles (allowing you to place them anywhere on a 360 video, even the zenith or nadir). Magix Video Pro X is a professional video editor that is like Movie Edit Pro Plus on steroids, with features such as Lab color grading. One of its unique features is that it can work with unstitched 360 video files and can stitch them on the fly. It has templates for Samsung Gear 360, LG 360 Cam and Ricoh Theta, but its stitching function works with any 2-lens all-in-one 360 camera (not rigs) such as the Xiaomi Mijia Mi Sphere and is very easy to use. In the screenshot below, you can see I imported a double circular fisheye video from Samsung Gear 360. I then applied the 360 Stitching effect to the clip, and the output appears instantly (zero waiting time), on the upper left side. You can change the parameters on the right side such as opening angle (field of view of each lens), rotation (on the z-axis of the video), aspect ratio (for cameras that don’t use 2:1 ratio), alignment (changing the initial orientation). Adjusting these sliders will alter the stitched image in real time, making it a cinch to find the optimal settings even if you don’t know the field of view of the camera’s lens. I tried out the feature on a Xiaomi Mi Sphere video and it worked. Unfortunately, it appears the Xiaomi has vignetting, which was not apparent on their phone app. Except for the vignetting, I think the stitching looks quite good. I hope they add some kind of vignetting correction to make feature this even more useful. I haven’t played around with Video Pro X yet but I am curious to see what other benefits it has. If Video Pro X works for 8K then this might become a good editor for Insta360 Pro files (Premiere Pro can’t do it). I just hope the rendering times are improved. 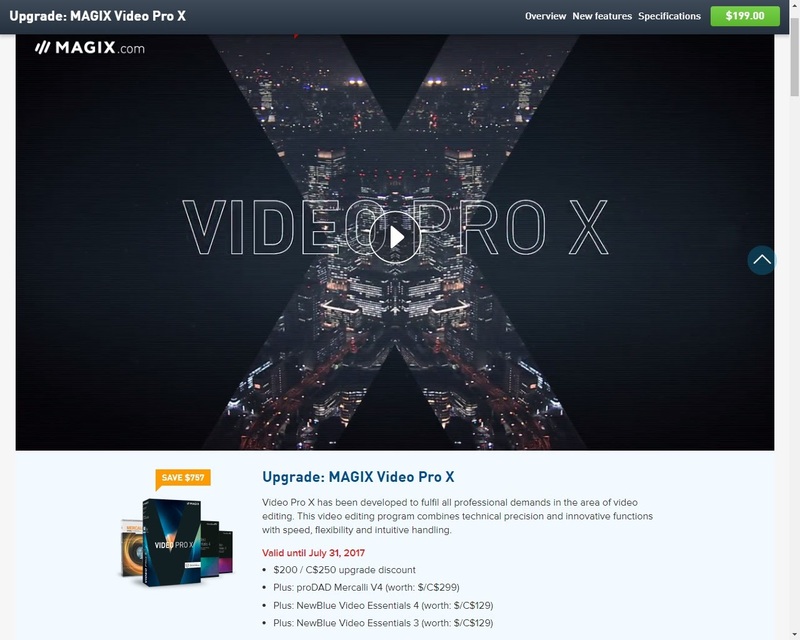 Magix Video Pro X is $399, but if you are upgrading from Movie Edit Pro Plus 2017 (which usually costs under $100), Video Pro X is $199 until July 31, 2017. There’s a 30-day trial available (output limited to 3 minutes). Hi A Matikiri. There are a few YouTube tutorials for Video Pro X. In addition, you can also use tutorials for Magix Movie Edit Pro Plus 2017 because they are very similar in interface. 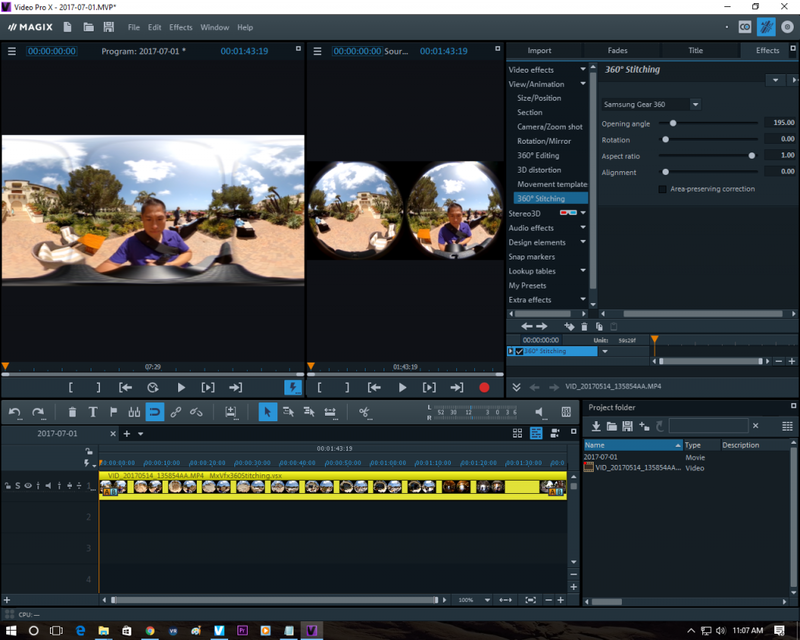 Have you tried stitching and editing Garmin VIRB 360 5.7k videos? This would be a nice solution if it works. I’m trying to stitch videos from Xiaomi Mi Sphere with Video ProX Trial V15.0.5.211 soft, but I’m definitely not able to align the two images with the provided tools. There are always spots where images are not aligned. I have a ProX 7 version which I did use a lot in the past and I know quiet well that program. Hi Riccardo. If you have a Windows PC, I recommend stitching with the Mi Sphere app instead for best results. yes, i agree, but I miss the possibility to manage the video in a single workflow (cut, color grading etc, mainly cut). That was my hope. I have Magix Video Pro X (16=2018) but I don’t like it, as it looses often a few frames in sequence, the stitching is also not as much improved as regular camera stitcher, you need to pay widely used codec – my work flow is camera stitcher + kdenlive – I use to record the movie with a few cameras and in open source software I have no limits on number of trucks, unlimited codec option, no frames are lost, it works as expected on any middle class hardware – may take more time on lower spec, but it will do the job instead of complaining on hardware configuration. So next time I would not buy it anymore. 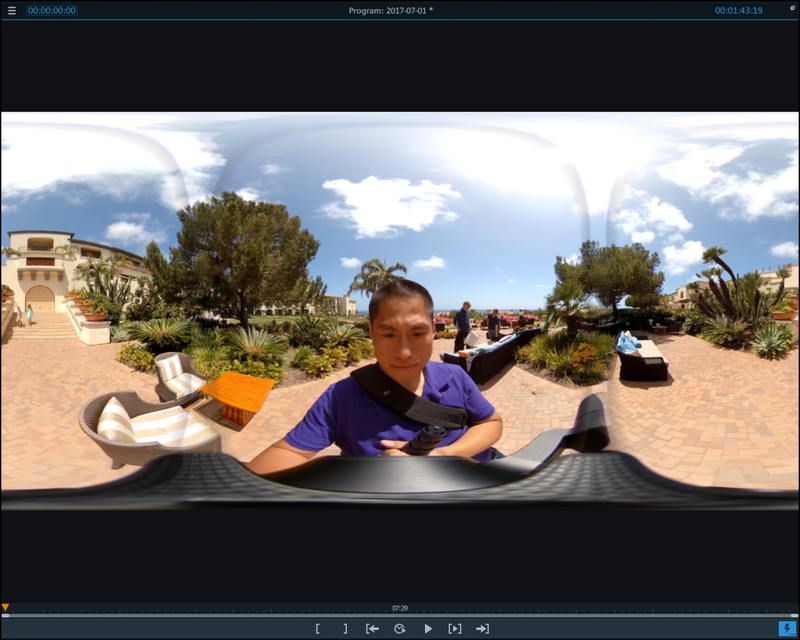 I would welcome native support for 360 material, probably sooner not later, but even now it is my favorite movie editing software. Easily create virtual tours with Ricoh’s new Theta360.biz cloud service!